Bal Bhavan Cricket Team has always made our school proud by its achievements at National and International levels and the school has encouraged our budding cricketers to showcase their talent. Taking a step ahead, BBIS arranged an Australia tour for BB Cricket Team in the year 2013 where they visited the Australian Embassy for a meeting with high commission. The team was accompanied by the management committee members of Bal Bhavan Society, Mr Bharat Gupta, Mr Deepesh Gupta and our School Principal Mr Kunal Gupta. The major purpose behind this visit was interaction amongst the team members and the Australian High Commission. The members of High Commission presented a bat autographed by Adam Gilchrist as a good luck charm. 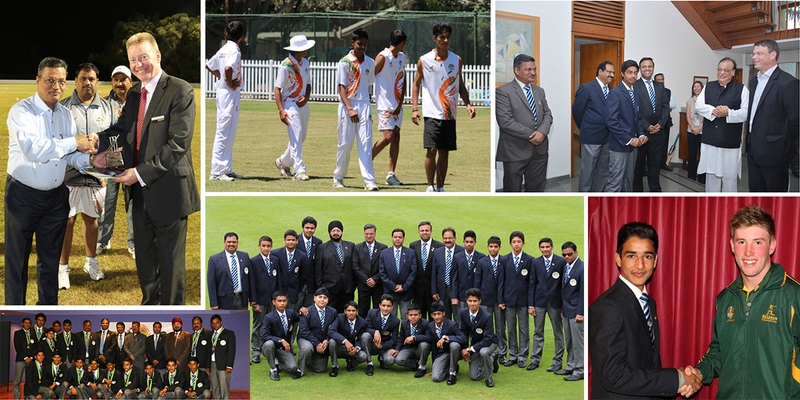 It turned out to be the great learning exposure and indeed our cricketers proved to be the assets to our institution.